To celebrate the end of a particularly difficult semester and help kick off the holidays, I planned and hosted a small dinner party for a few friends. As a college student, I don’t exactly have expert cooking skills so I kept the food simple, avoiding any elaborate meal ideas, but had tons of fun putting together all the decorations and planning the night! 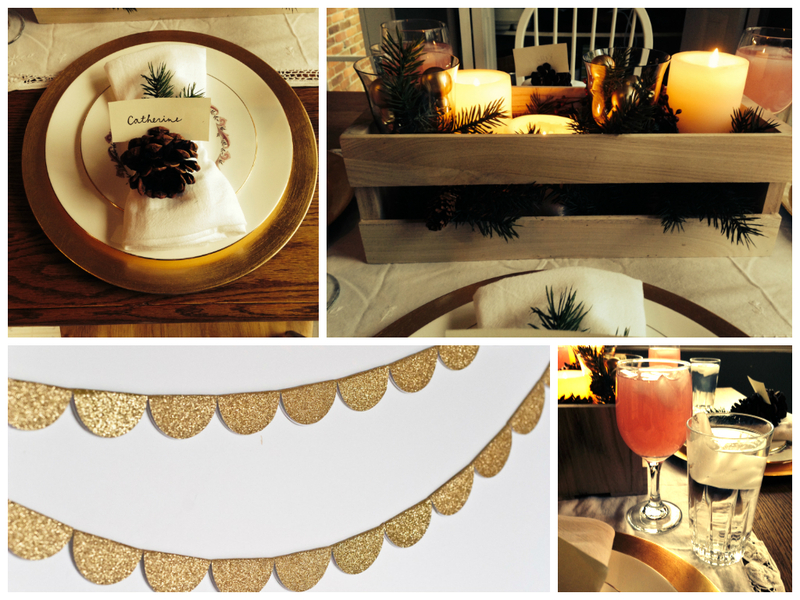 I loved decorating my house for this party and getting into the holiday spirit! I’ve gotten so many ideas from friends and different blogs online so I was excited to have the chance to try some of them out, but I didn’t necessarily want a holiday theme. To create more of a general cozy, winter vibe, I stayed away from the typical red and green and used mostly white and gold colors for decorating. I love glitter and it’s great to use for smaller accent decorations, like the gold glitter garland I used to hang over my mantle. Probably the most important, and my favorite, part of decorating is the table. 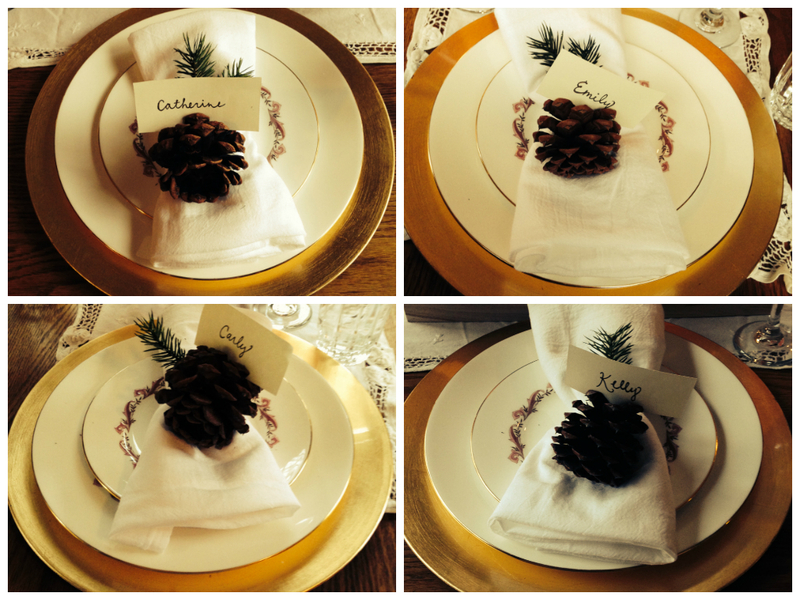 I used pinecones with handwritten name cards and I made my own centerpiece for the table using a plain wooden box I had around the house. I also found super inexpensive gold chargers at Michael’s to lay under the place settings, which worked perfectly with the gold-rimmed plates that I was planning to use. I wanted to use some wintery accents without making it too Christmas themed so I filled the wooden box with large candles surrounded by small pine branches and mini pinecones. I also had some pretty stemmed glasses that I wanted to incorporate into the centerpiece so I mixed those in with the large candles and filled them with the same small pine branches, as well as some mini gold balls, helping to match the centerpiece and the place settings to each other. 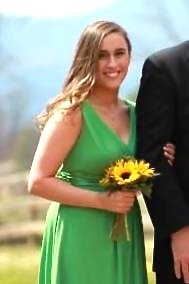 Carly Haeck is a Hello Productions 2013-2014 intern working with the Director of Marketing and Events, Colleen Geletko. During her first semester as intern for the company, Carly had the opportunity to work on many different projects ranging from planning multiple weddings to social media updates and marketing tasks for local companies. Carly is currently a junior marketing major at the University of Pittsburgh who loves organizing and creative projects! She is learning a lot from her experience as a Hello Productions intern and hopes to pursue a career in marketing and event planning in the future.